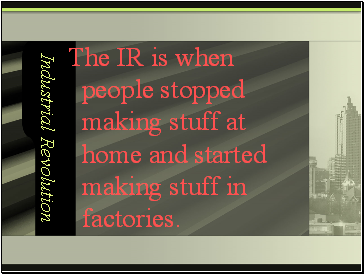 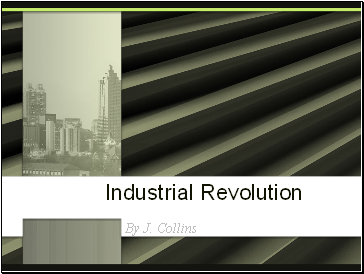 The IR is when people stopped making stuff at home and started making stuff in factories. 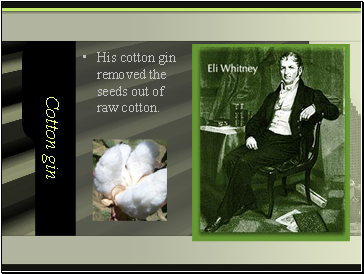 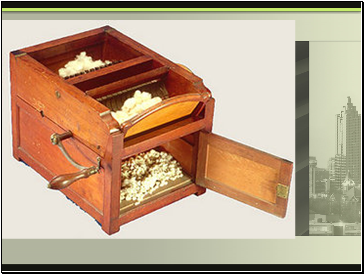 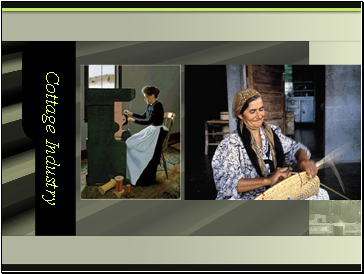 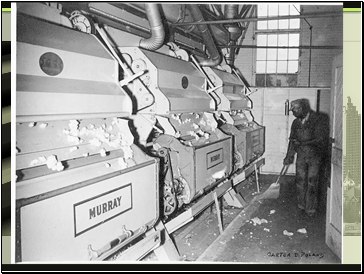 His cotton gin removed the seeds out of raw cotton. 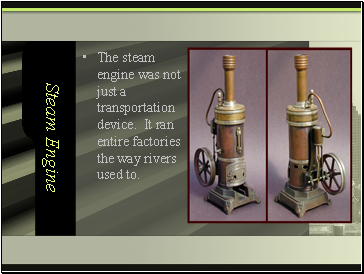 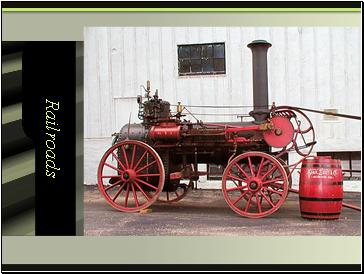 The steam engine was not just a transportation device. 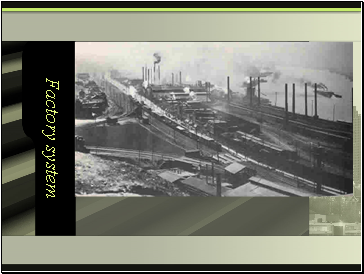 It ran entire factories the way rivers used to. 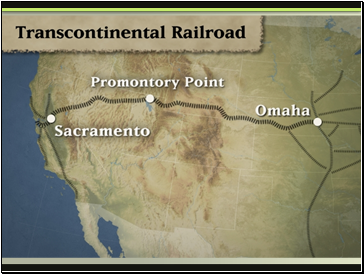 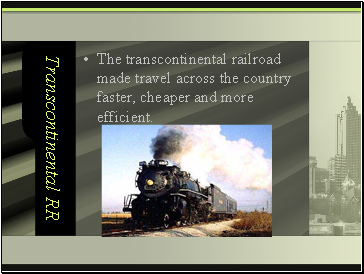 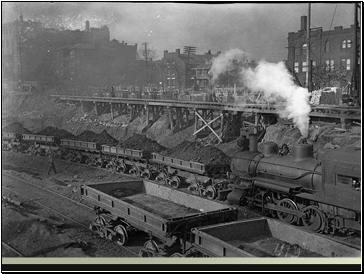 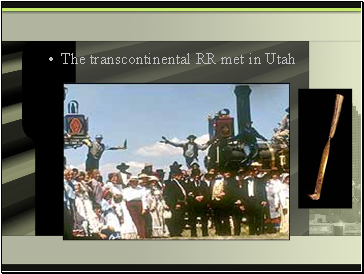 The transcontinental railroad made travel across the country faster, cheaper and more efficient. 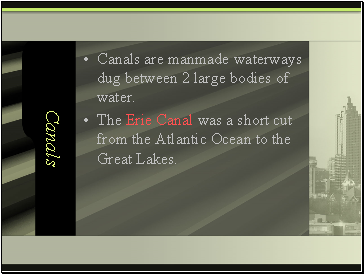 Canals are manmade waterways dug between 2 large bodies of water. 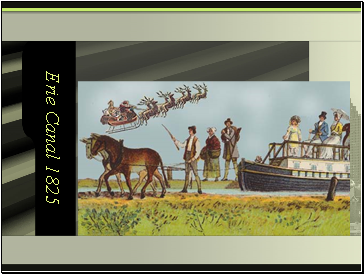 The Erie Canal was a short cut from the Atlantic Ocean to the Great Lakes. 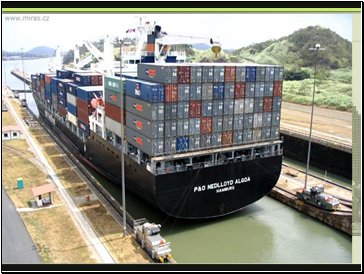 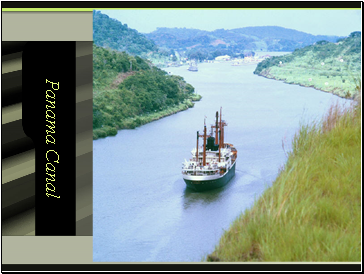 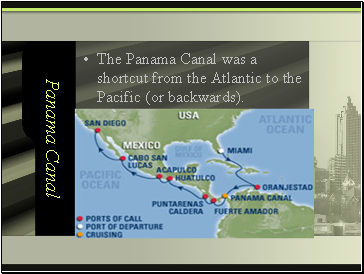 The Panama Canal was a shortcut from the Atlantic to the Pacific (or backwards). 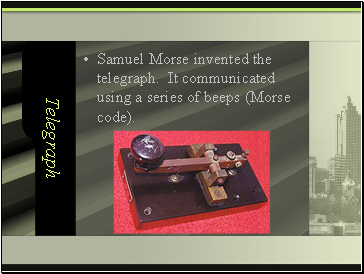 Samuel Morse invented the telegraph. 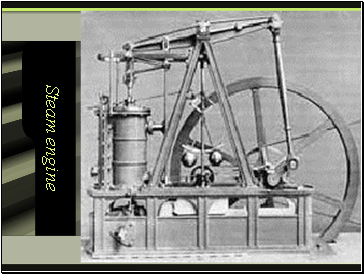 It communicated using a series of beeps (Morse code).